Hide plastic Easter eggs filled with pieces of paper with numbers and letters on them. Once the eggs are found, have your child name the number or letter and phonetic sound. 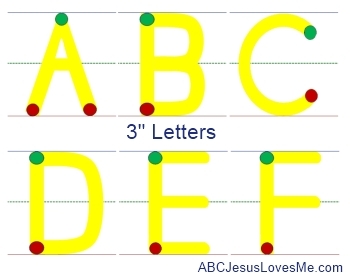 This activity may be carried further to have your child then put the numbers or letters in sequential order. - For the past three weeks, the child has learned to write the first three letters in his last name. Weeks 34 and 35 will work on the fourth and fifth letters. If the child's last name contains more than five letters, add an additional letter this week. Draw shapes on pieces of paper. Allow the child to fingerpaint the shapes.